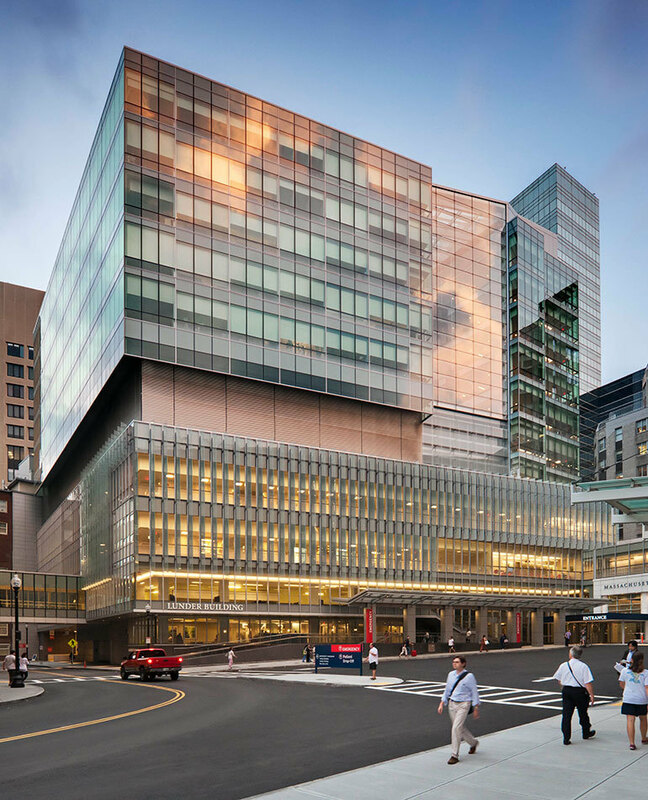 The Lunder Building is the newest addition to the Massachusetts General Hospital (MGH) campus, and until the naming gift from the Lunder Foundation, it was aptly known as MGH’s Building for the Third Century. Widely acknowledged as state-of-the-art in oncology, perioperative and sterile processing facilities, the 10-story Lunder Building also includes an emergency department, beds for intensive and acute care and interventional imaging. 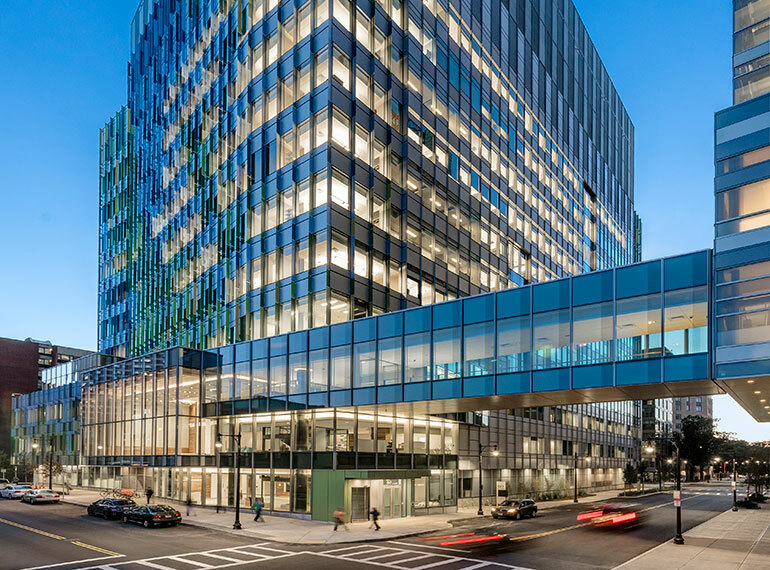 Knowing that the project would be extremely complicated because of the tight, urban site and ongoing hospital operations, MGH needed a development firm that it trusted to execute this transformational project for the institution. Leggat McCall Properties (LMP) was engaged to act as the owner’s project manager for the entire project process, providing comprehensive project planning as well as management. The site for the future Lunder Building sits at the center of the MGH campus in downtown Boston. Construction near occupied buildings is always difficult, but the Lunder Building presented an especially critical challenge: demolition and construction of the building needed to be accomplished adjacent to a fully operable Emergency Department and other sensitive patient care units. In the two years before construction started, LMP led the intensive permitting process for the project. Lunder required approximately 25 permits, such as the Department of Public Health’s Determination of Need, MEPA, Massachusetts Historical Society, Pubic Improvement Commission, and BPDA Article 80 and 85. In addition, the LMP team guided significant utility enabling prior to the start of construction, provided design assistance for the slurry and curtain wall and directed early coordination of MEP trades in a dedicated co-hab space. LMP oversaw the demolition of three buildings totaling 200 KSF in the heart of the MGH campus to make way for the Lunder Building. This process involved extensive remediation of the soil and building materials. It also required high levels of coordination as the entire site was only accessible for machines and material removal through one access point between buildings. The project involved simultaneous construction of 10 stories above and four levels of below-grade clinical space, complicated building systems, installation of large and expensive medical equipment, extensive Join to Old Work including separation and reconnection of three levels to the main campus buildings, and up/down slurry wall construction within feet of the emergency department and on-going clinical operations. Each of these factors meant that precision in design, construction and oversight was paramount to success. 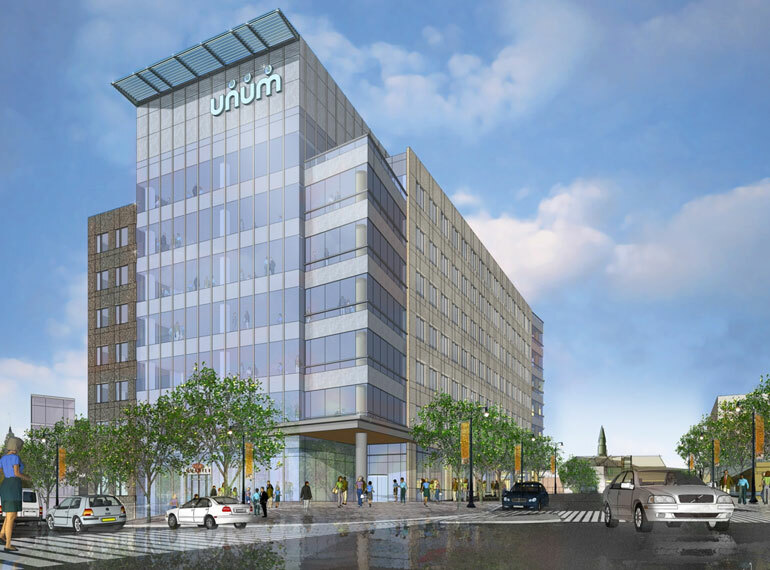 The LMP team met these challenges successfully by using Building Information Modeling (BIM) and leading ongoing task force meetings to continually evaluate, monitor, and respond to potential hospital operation and patient care issues. LMP co-created and co-chaired “Thrive,” a task force focused on ensuring continuing patient care during construction. The task force met once a week with 20 people from all departments throughout the hospital; topics included everything from vibration to sound constraints to air quality. LMP ensured that information, challenges, and solutions flowed efficiently from the task force to the CM, and vice versa. Due to the efforts of this task force, the Emergency Department only had to be shut down once during the entire project, for approximately one hour. More importantly, there were no incidents of construction negatively impacting care. LMP delivered the Lunder Building under budget and on the precise target date established three years prior to the start of construction and $30M under budget. 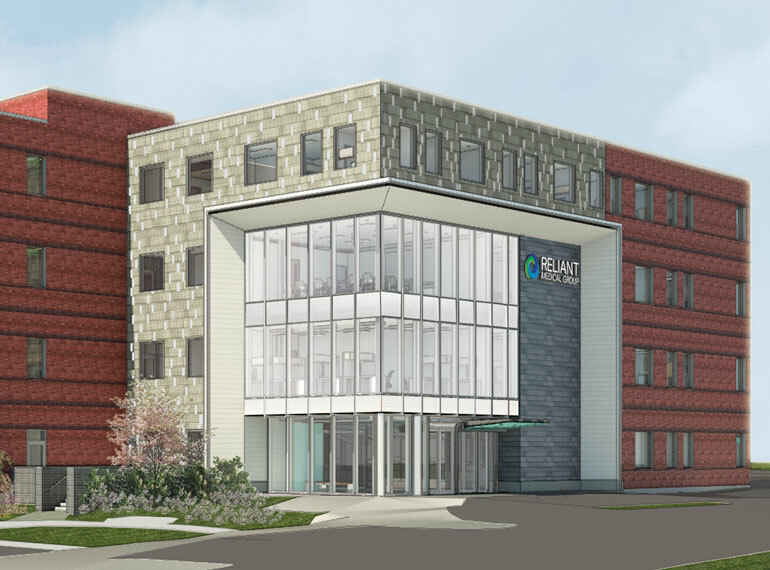 The LEED Gold building features 150 new intensive and acute care beds, 28 procedure rooms, sterile processing department, radiation oncology and an expanded emergency department. The radiation oncology unit includes seven linear accelerators and a proton accelerator. The emergency department included both new construction as well as 50,000 SF of phased renovations in the existing and operating facility. General Contractor: Turner Construction Company, Inc.